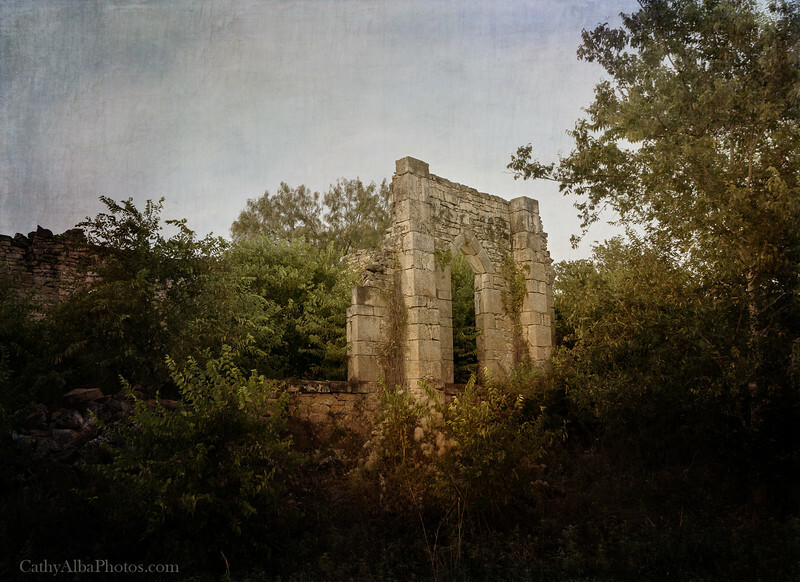 The old church ruins in D'hanis, Texas. Saint Dominic Catholic Church was built in 1853 and abandoned in 1914 with the building of a new church in new D'hanis. This photographic artwork was digitally textured.